Following a successful feasibility study for the joint project of EnTri Consulting, SunnyBAG (www.sunnybag.at) and NorthLite Solar (www.northlitesolar.com) the Austrian Development Agency (ADA) has committed a grant for th eproject- implementation in the frame of a commercial partnership. The grant amounts to EUR 200.000 and will be disbursed over a period of 2 years according to project progress. We sincerely express our gratitude on behalf of all stakeholders and are committed to implement this developmentally important project in due course. 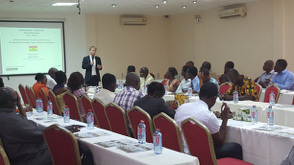 On November 18 and 19, 2015 a workshop designed by EnTri and organized by the NGO TechnoServe took place in Accra covering the subjects International Financing, and International Partnerships. Around 40 participants from a wide range of sectors showed big interest, explained their activities and investment projects and handed over numerous well-elaborated business plans with the intention to have their projects financed and implemented with the support of EnTri Consulting. 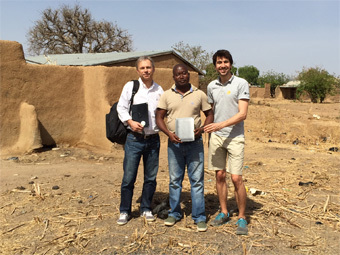 EnTri Consulting GmbH intends to create a commercial partnership together with the dynamic start-up company SunnyBAG (www.sunnybag.at), an innovative manufacturer of solar-bags from Graz/Austria, as well as NorthLite Solar Ltd. (www.northlitesolar.org), a leading private solar-company from Bolgatanga/Ghana. 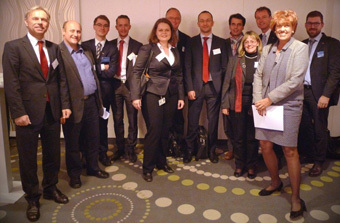 On November 27th, 2014 was the day: the most recent of the bi-annual “Energy-Sector-Seminars” took place in the EU capital of Brussels. 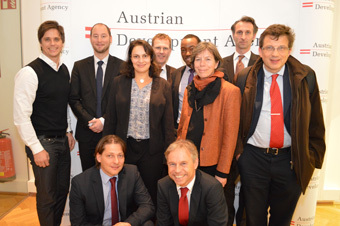 EnTri as private-sector representative at workshop of "Practitioners’ Network for European Development Cooperation"
On Dec. 5th, 2014 EnTri Managing Director Dr. Klaus Tritscher had the honour to participate as only private-sector representative at the workshop of the “Thematic Group Sustainable Energy”, organized by the Austrian Development Agency (ADA) in Vienna. Read more about EnTri as private-sector representative at workshop of "Practitioners’ Network for European Development Cooperation"
EnTri Consulting’s Managing Director Klaus Tritscher was invited by the co-organizers IFC/World Bank (further organizers are EBRD and the business press Vedomosti) to hold a presentation about the progresses of the Central & Eastern Europen waste management sector. In December 2013 EnTri Consulting’s Managing Director Klaus Tritscher signed a Framework Agreement with a duration of 4 years regarding consulting services in the energy sector. A number of Austrian companies have made use of EnTri Consulting’s services during the last few months in regard to searching for appropriate Austrian grants and promotional schemes for their internationalization activities. The go international – initiative with its manifold individual measurements was very popular in that regard. All applications, that were submitted with our support, were successful! Did You know, that ...? "... that Ghana and the EU have ratified a “Stepping Stone Economic Partnership Agreement” that preserves preference for Ghanaian exports to the EU and substantially reduces (partially to zero) import duties in Ghana for products originating from the EC."